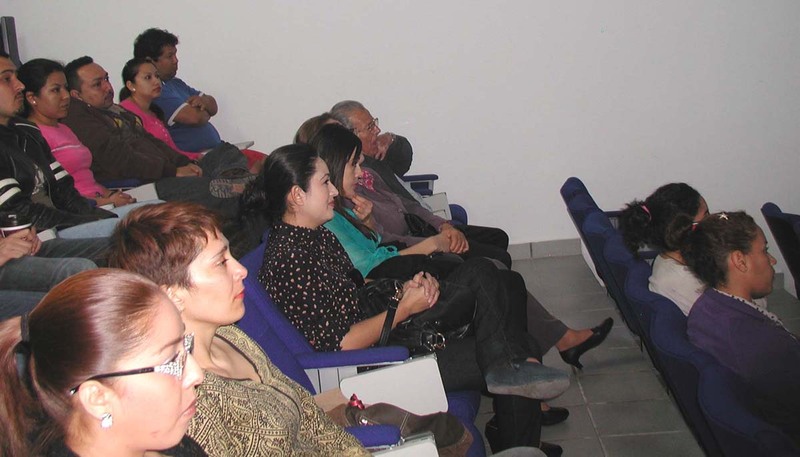 Prof. Yoav Bashan, senior researcher at the Northwestern Center for Biological Research (CIBNOR), La Paz, Mexico and President of The Bashan Foundation, was awarded the The Mexican National Prize for Soil Biology, named after Dr. Jesus Caballero Mellado. This is the highest recognition given by the Mexican Society of Soil Science to scientists working in soil science in the country. 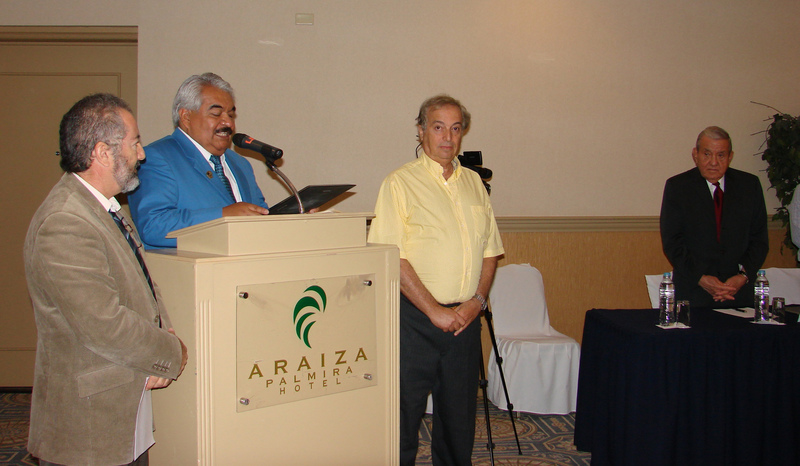 The award ceremony was chaired by the President of the Soil Science Society of Mexico, Dr. David Espinosa, and was held during the inaugurating ceremony of the 38th Mexican Congress of Soil Science in La Paz, Mexico. 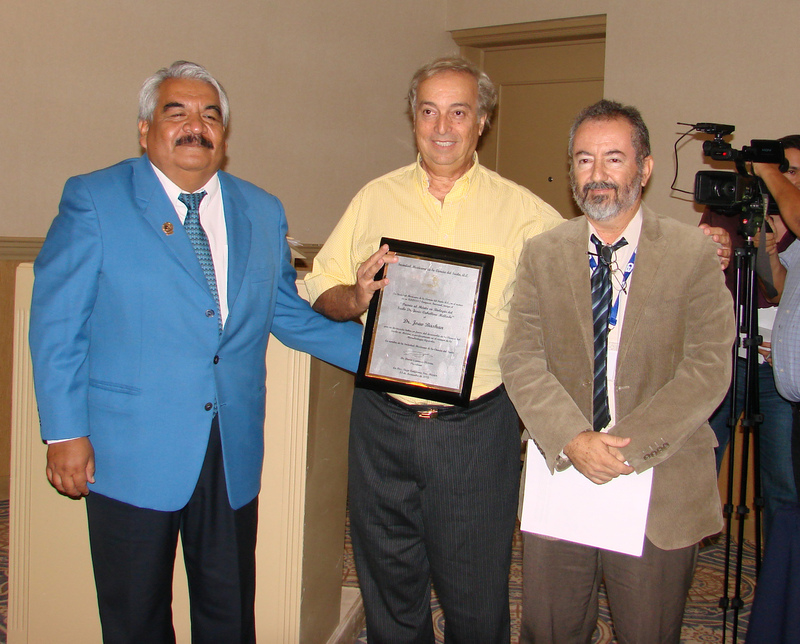 Prof. Yoav Bashan (center), Dr. David Espinosa, President of the Soil Science Society of Mexico (left), and Prof. Enrique Troyo, President of organizing committee of the congress after the prize was awarded. 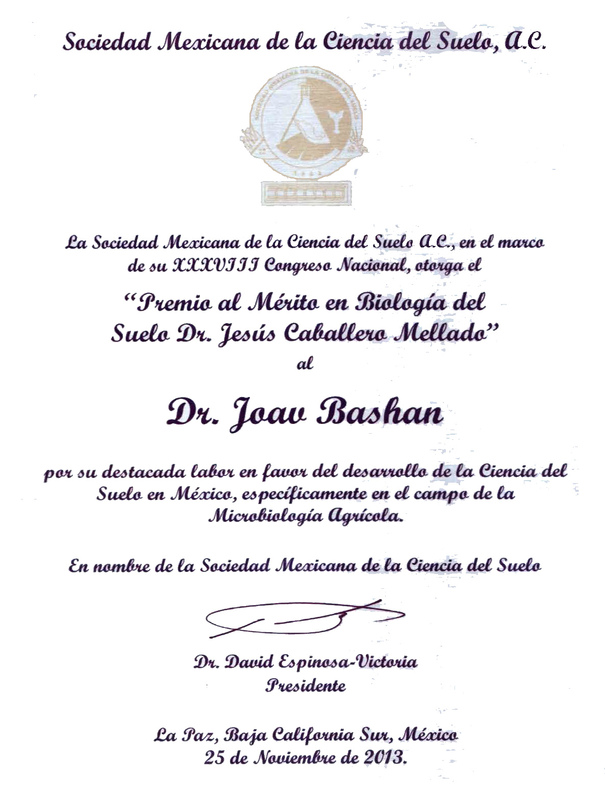 The plaque given to Prof. Bashan by the Soil Science Society of Mexico. 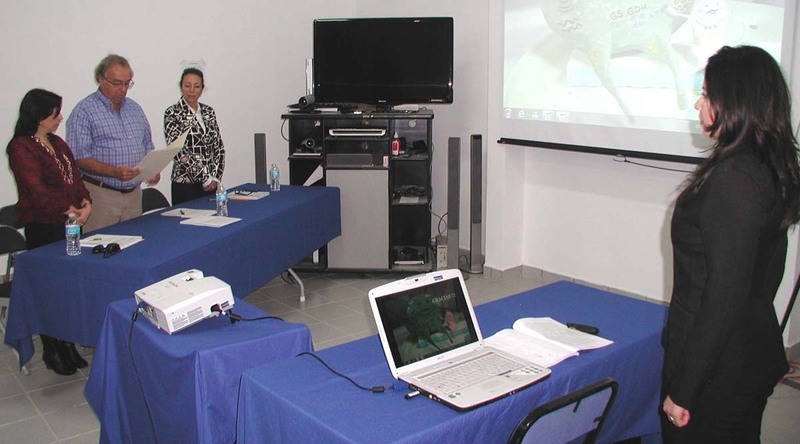 Dr. Luz de-Bashan, the vice-president of The Bashan Foundation, was promoted by Consejo Nacional de Ciencia y Tecnología (CONACYT) of the Mexican federal government to the rank of "National Researcher, level 2". Active scientists in Mexico (including university professors involved in research), and regardless of their specific affiliation, are evaluated every 4 to 10 years for their scientific performance during that period. This is done, on an equal basis, for all fields of science, and evaluation is performed by elected committees composed of scientists. If scientific performance is approved, the member is then assigned a national rank starting at candidate level. The highest rank is level 3. This sort of nomination justifies a party. In July 2013, the Bashan Foundation celebrates its 10th anniversary as a not-for-profit, virtual international scientific research institute dedicated to diffusion of science, for free, among the worldwide scientific community. Although the idea to conserve prime scientific knowledge of productive scientists for generations to come, especially for those with limited access to scientific literature, was conceived in the last days of the 20th century, it took over 3 years to build the necessary legal and practical foundations of The Bashan Foundation. It was finally registered with the State of Oregon (USA) on July 2003. From a handful of members in 2003 with a few hundred publications available to the public, we grew, selectively, through the years to over 60 research groups with a central repository of over 7000 PDFs created by these groups. It is still growing. The scientific community responded in an encouraging way, downloading over the years 7.5 million PDFs from the foundation´s website. Currently, the site downloads over 200,000 PDFs each month and serves over 660,000 individuals who need this information. We hope our foundation will continue to be useful for mankind. 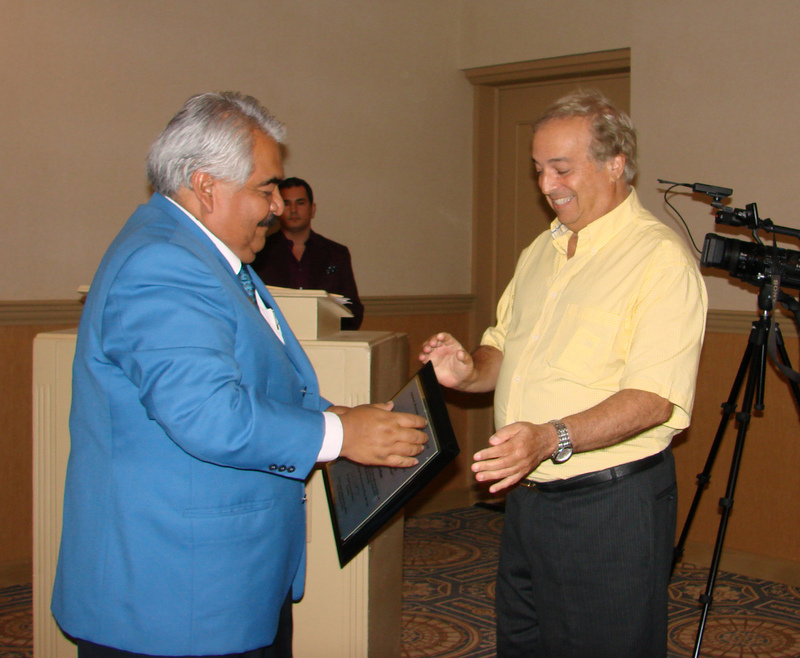 Dr. Alfredo Ortega-Rubio, a senior researcher at the Northwestern Center for Biological Research (CIBNOR), La Paz, Mexico, who is also a member of The Bashan Foundation, was awarded the Lázaro Cárdenas award. 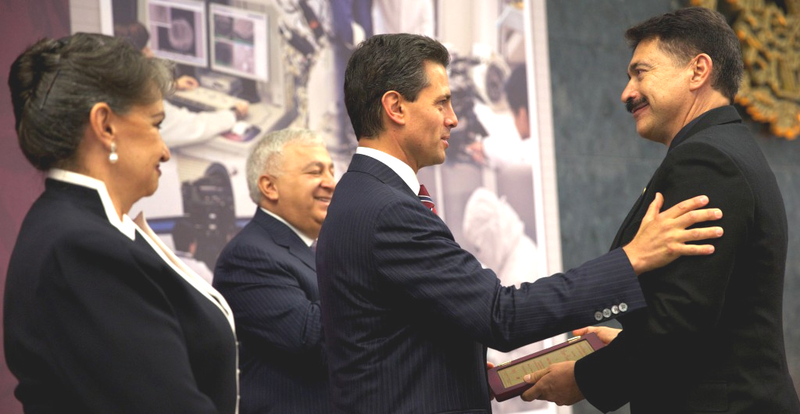 This is the highest recognition given by the National Polytechnic Institute of Mexico (IPN) to its current and past members. 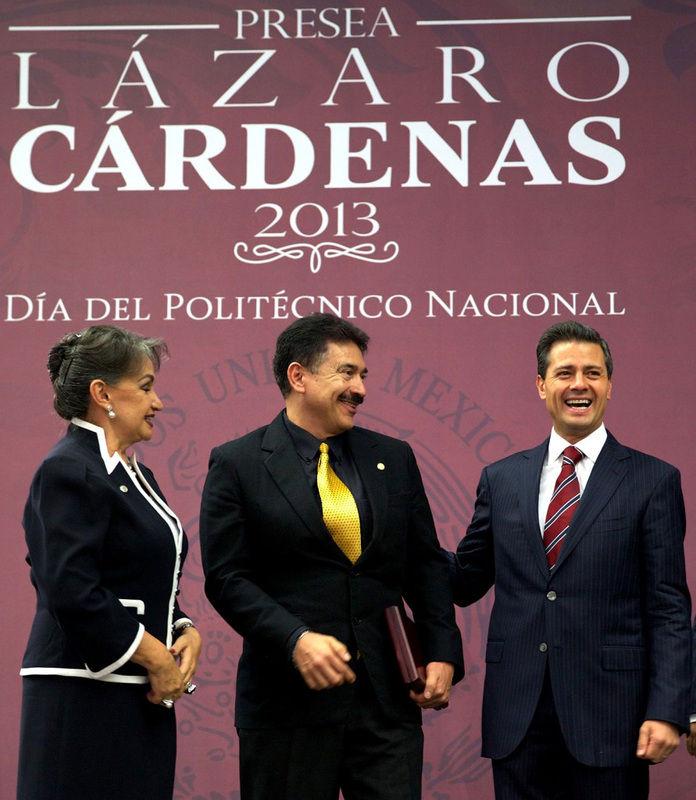 The award ceremony was chaired by the President of Mexico in the official presidential residence of Los Pinos in Mexico City. 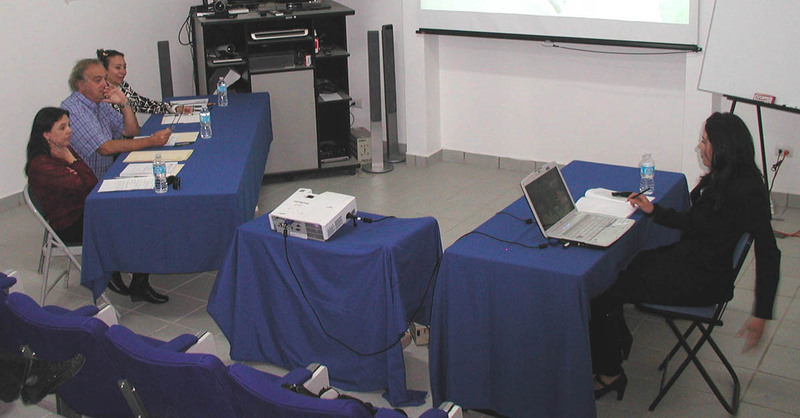 The ninth student to be partly supported by The Bashan Foundation, Beatriz Meza, successfully defended her master’s thesis at the Northwestern Center for Biological Research, La Paz, Mexico on 6 March 2013. 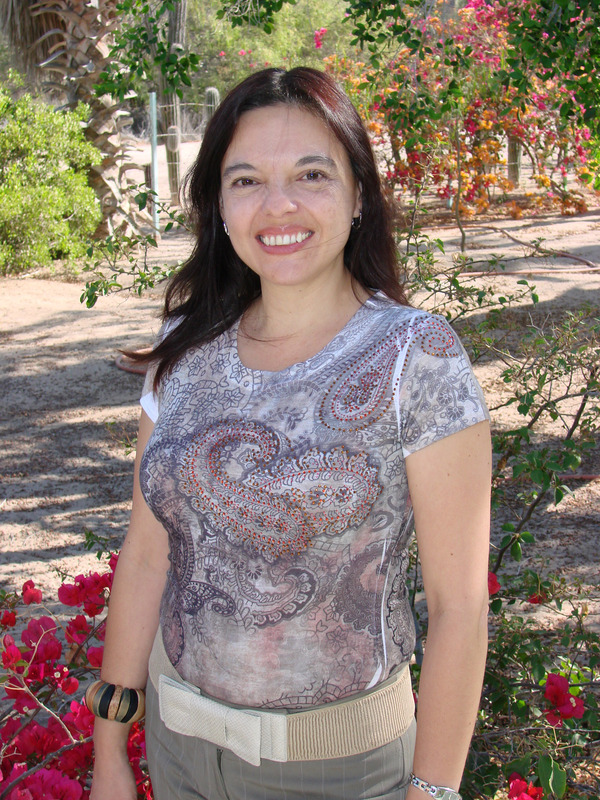 For Betty, the daughter of a retired water specialist with the state government and the first local graduate from the State of Baja California Sur among students in the Environmental Microbiology group, the master’s studies at CIBNOR were quite a challenge, yet completed successfully and on time. 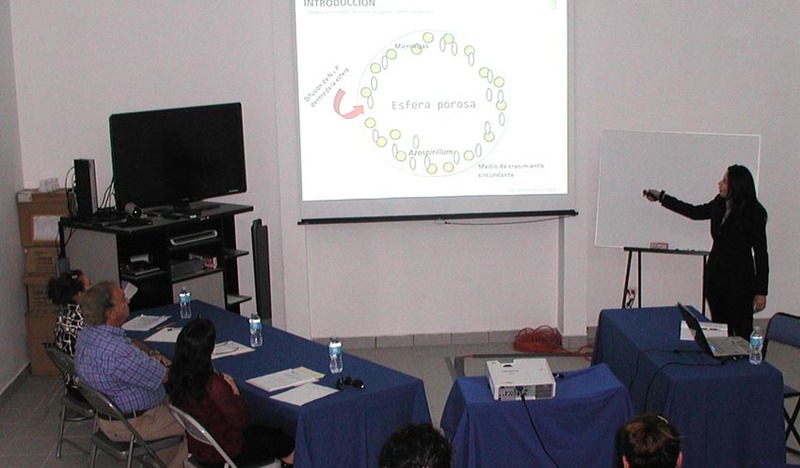 Her thesis work concerned the effect of a plant hormone produced by the beneficial bacterium Azospirillum on enzymes related to assimilation of ammonium in the microalgae Chlorella. After graduation, the short-term goal of Betty is to complete some experiments required for publishing her results in a science journal. Betty is presenting her thesis work to the jury and the public. 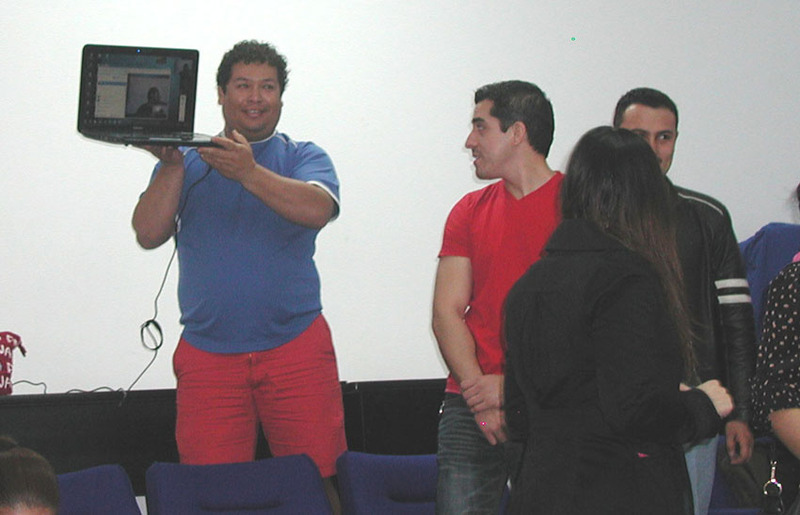 One former graduate student from Yucatan attended by Skype. 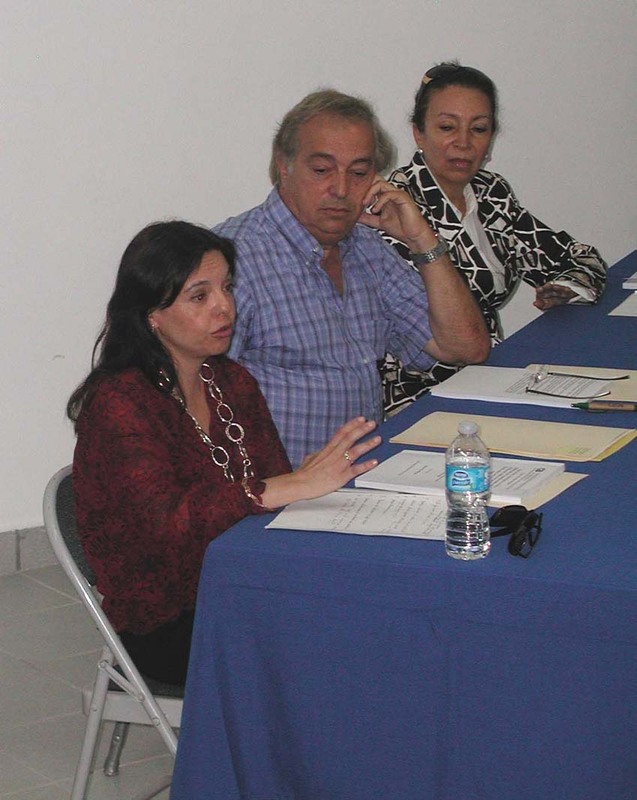 After the official presentation of the details of her thesis, Betty answers questions from the examinining committee (from right: Dr. Thelma Castellanos, Dr. Yoav Bashan, and Dr. Luz de-Bashan). During the discussion by the committee, Betty waits with the graduate students of the Group of Environmental Microbiology whose day at the podium and in “the hot seat” is yet to come. 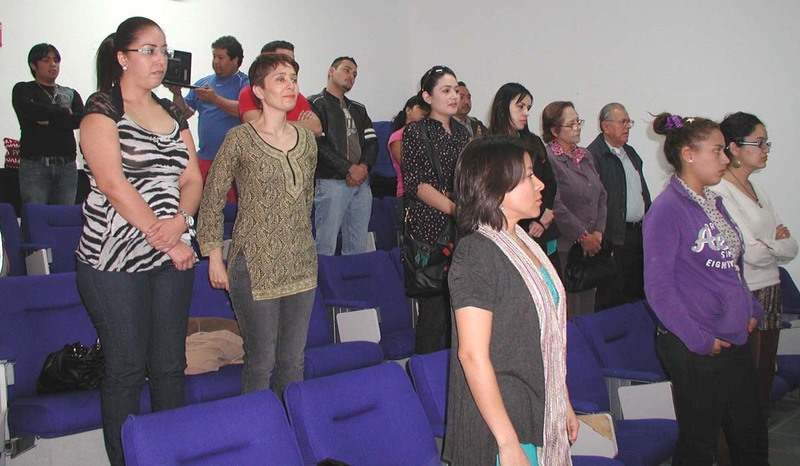 (from left: Emanuel, Cristina, Edisa, Betty, Luis, Edgar, Oscar, Francisco, Cynthia, and Lulu. Dr. Bashan reads the final decision by the Jury: APPROVED, while the public stands . 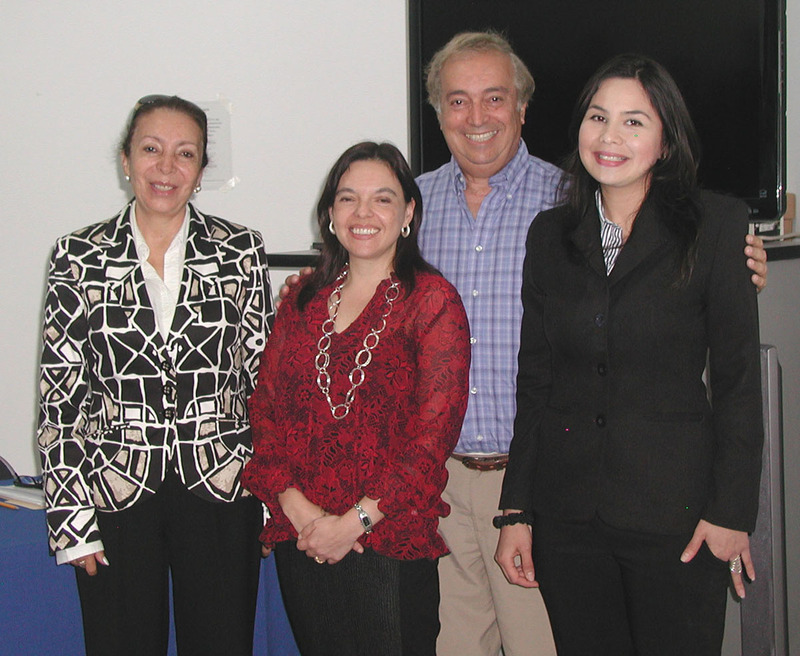 Betty with the committee after the thesis defense (from left: Dr. Castellanos, Dr. de-Bashan, Dr. Bashan). To the surprise of all, the traditional fiesta of graduation, celebrated by every student of the group during the last two decades, did not occur.